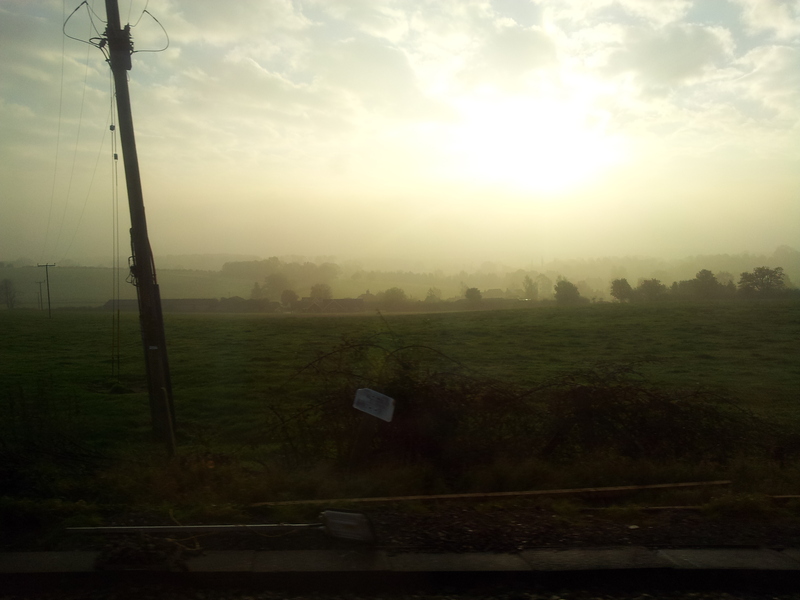 Another shot taken from a (slow) moving train near Micheldever, this time looking towards the South Downs. I was after the sunrise; but I like the line of telegraph poles adding an industrial aspect to the landscape. 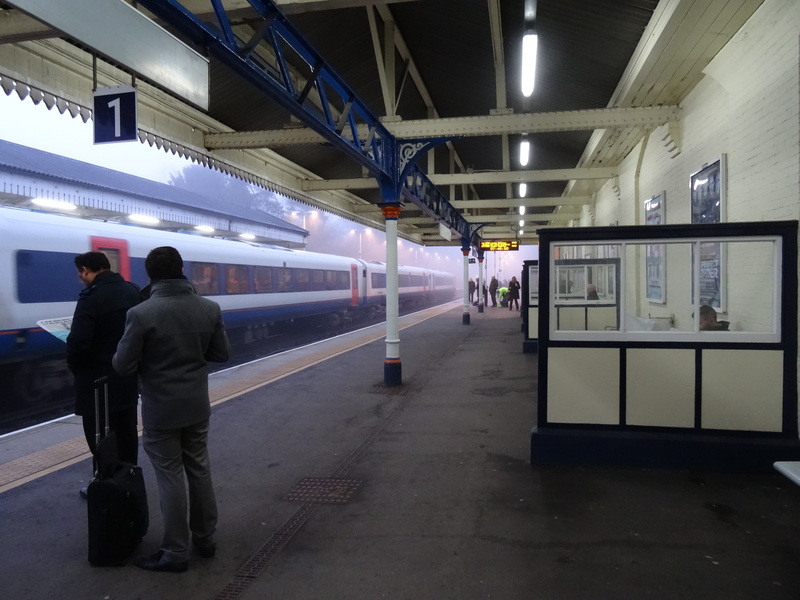 This entry was posted in Commuting in pictures and tagged communting in pictures, Hampshire, Sunrise, trains on November 9, 2014 by Lyn Whitfield. This entry was posted in Commuting in pictures and tagged commuting in pictures, station, trains, Winchester on January 22, 2014 by Lyn Whitfield. A serendipitous shot with the phone. 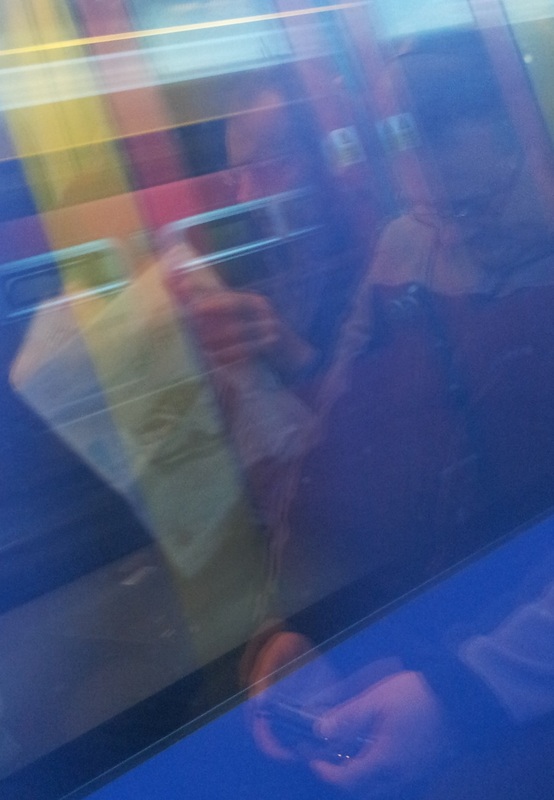 Two passengers reflected in the window of a train, turned into a mirror by a passing carriage. 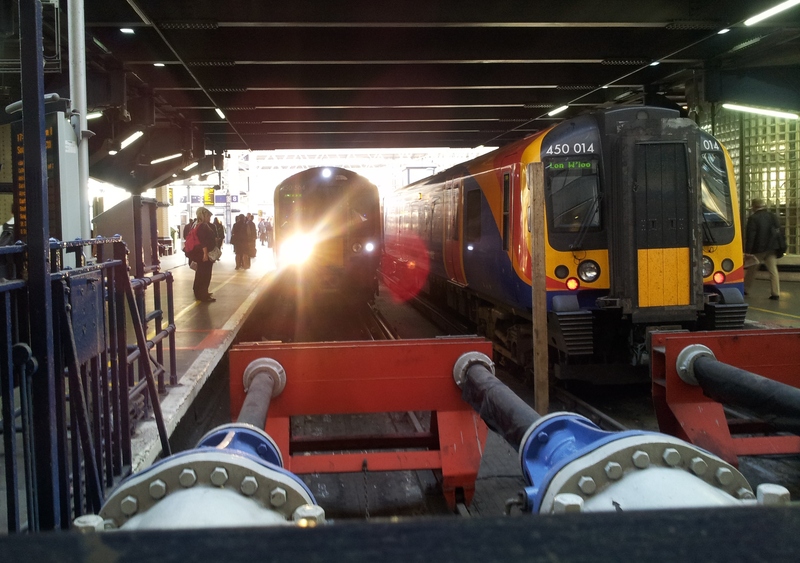 This entry was posted in Commuting in pictures and tagged commuting in pictures, Newspaper, trains on January 17, 2014 by Lyn Whitfield.